The exhibit opened at the Dawson County Historical Museum in Lexington in fall 2017 with additional components related to immigrant health. Then, it traveled to the Nebraska State Capital. 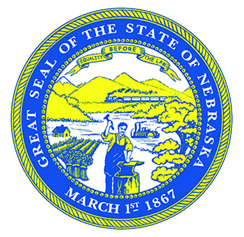 Its next stop was the Nebraska History Museum, where HN provided additional funding for some revisions to the exhibit and a series of complimentary programming. With additional support from Nebraska Extension and Rural Futures Institute the original exhibit was re-envisioned as “Looking Past Skin: Our Common Threads,” to present sociological, agricultural, and historical perspectives on migration, including the more recent demographic shifts in urban and rural parts of the state in four parts. A walk through “The Migration Timeline” provided a backdrop for additional features on the Karen, Sudanese and Yazidi communities. The University’s “Wall of Windows” combined historic and contemporary photographs of new Nebraskans, accompanied by their stories, which included Latinos and Somalis living in Dawson County. A multi-media feature titled “Ask A Doctor” revealed the complexities of speaking a non-native language through a simulated visit to the doctor where a language barrier exists. “Food is History” explored finding nutritional food and nutrition education in a new country. 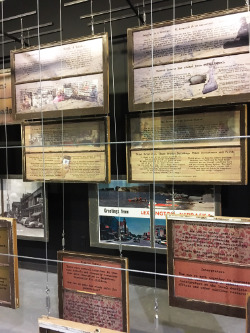 More than 10,000 people viewed the exhibit, with the Wall of Window’s component returning for permanent display at the Dawson County Museum. This project is an example of HN funds leveraging the knowledge, skills and funding of other organizations to meet our mission.